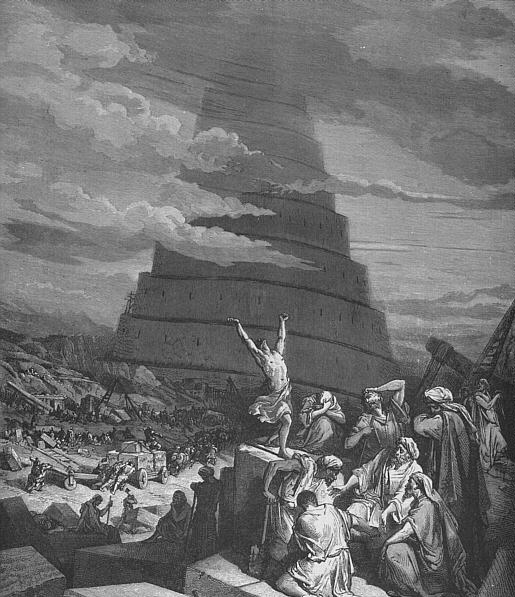 Earlier in the week, while writing my Tower of Babel post, I stumbled across a number of images that I found quite interesting. 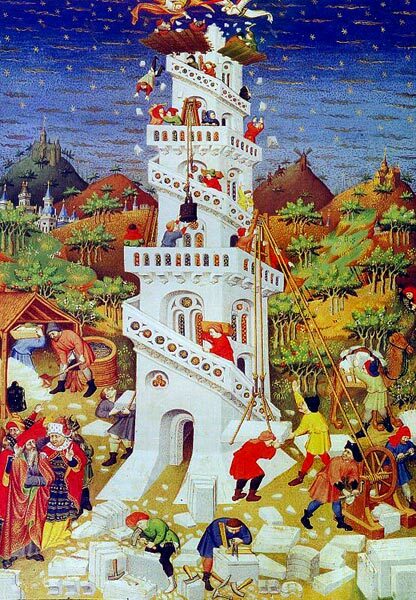 It seems the story has captured the imagination of many artists over the centuries, each artist with his own interpretation of what the Tower may have looked like. This artist’s rendition is very simple, almost childlike. 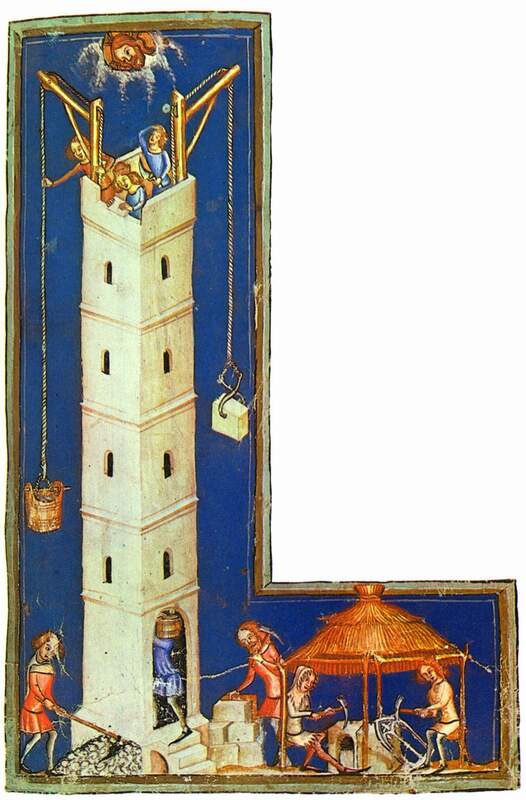 The Tower resembles a kind of watchtower, which would be the best interpretation of the original Hebrew word used in the story. Notice the lack of any kind of background detail or lack of historical cues. Ropes a pulleys are the method of construction. Notice that the artist’s time and culture constrain his imagination; everything in the picture looks like 15th century France, while nothing at all resembles Mesopotamia or 5000 BC – except perhaps that lone camel. The tower is modest, almost delicate, a mere five stories tall, the materials, technology, manner of dress – all decidedly medieval France. I’m no expert, but I get the feeling that this artist had access to the work of the prior one, and made his version look more ‘authentic’. Still using ropes and pulleys, and the work-shed has been moved to the other side of the frame. Striking illustration, but no one could consider it an accurate representation. Of course we know that by this time, Europe was leaving the Middle Ages behind, and artists were beginning to paint with greater realism. A great age of travel and commerce was beginning, meaning that artists and others were able to actually see other countries, with architectural styles much different from their own. They were able to paint or draw more convincingly due to a greater knowledge of the world and better access to technology. The Tower is much more imposing – but is still perhaps only 15 to 20 stories high. I’ve gone to the trouble of posting all these pictures to make a simple point about our perception of God. Many believers contend that the Holy Spirit speaks to our hearts and makes the scriptures ‘real’ to us, explaining exactly what it is that God meant when he inspired their writing. 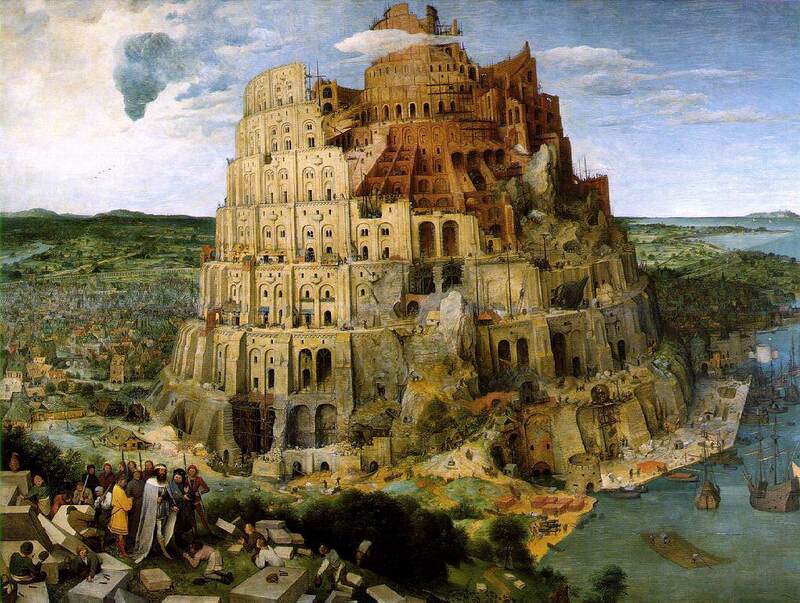 These paintings and drawings of the Tower of Babel would seem to suggest otherwise. The artists that created these images, inspired though they may have been, were not able to see outside the confines of their own space and time, were not able to grasp exactly what the Bible was describing – probably Etemenanki, rebuilt by Nebuchadnezzar just before the Judean captivity. When we read something in the Bible that was written hundreds of year ago, we look at it through the prism our own culture, technology, and understanding of the world around us – we simply cannot help ourselves. There is simply no evidence of a supernatural substance that reveals God’s mind to us. When we read the Bible, we interpret what we read based upon the knowledge and assumptions of our particular society. It is not God’s mind that alters our perception, it is our own minds that alter our perception of God. The images in our minds of what happens in the Bible are not controlled by God, but rather, our minds control what God does or says. In other words, God did not create man in his image, man created God in man’s image. We make gods that fit into our culture and conform to our pre-conceived ideas about how the world should work. Ever notice how when angry preachers talk about God, he’s angry? When laid-back guys like Joel Osteen try to explain what God is saying, God sounds positive, cheery, motivational? To the mystic, God is transcendent; to the guilty, he is merciful, to the terrorist, he is vengeful. God is, in fact, pretty much whatever we need him to be when we need him to be. He is our handiwork, not vice-versa. Those who say that God is no longer necessary to explain the world are only doing what men have always done, which is to understand the divine through the bias of culture and technology; it just so happens that 21st technology has advanced to the point that not even the ‘prime mover’ of Deism is necessary. Travelling around Asia, I could always tell what kind of Buddhist temple I was in by what the Buddha images looked like. Fat and happy? Chinese Buddha. Intense, languid eyed – Indian Buddha. Serene, calm – Thai Buddha. In fact, each culture creates images of the Buddha that very much look like their idealized cultural self. And if Buddhists make Buddhas that reflect the notions of their societies, you can bet that American Christians do the same thing. God helps those who help themselves. Jesus may have appeared poor, but he was secretly rich. 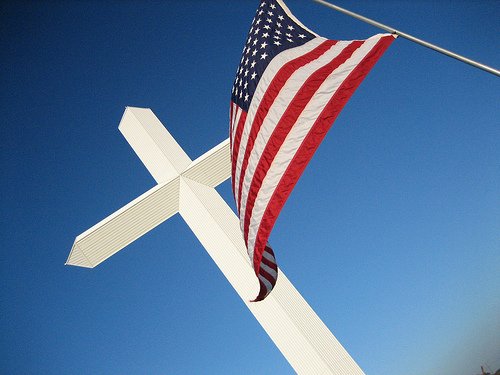 God wants you to live the American dream. We’ve made God in our own image. His rendition is completely modern. A tower can be a hundred stories high with today’s technology; you need only walk the downtown of a major metropolis to feel the awe of dozens of such structures towering above your head. 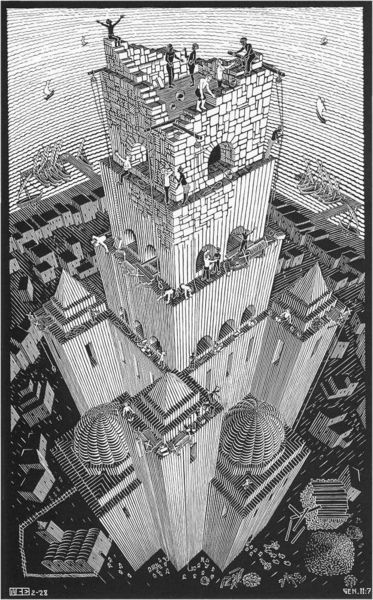 And Escher’s point of view is modern as well – his perspective is not that of a man on the ground looking up, but from the sky looking downward. Modern man has become God’s equal – perhaps his better. He can look down upon the Earth from space and see all things, big and small, as they happen. And unlike the Genesis god who had to ‘come down’ to see the Tower, we don’t even have to leave the comfort of our own homes. Too bad God didn’t have Google Earth back then.